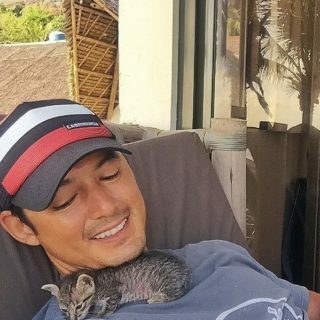 This man was never into cats, until an adorable kitten chose him and changed him forever. 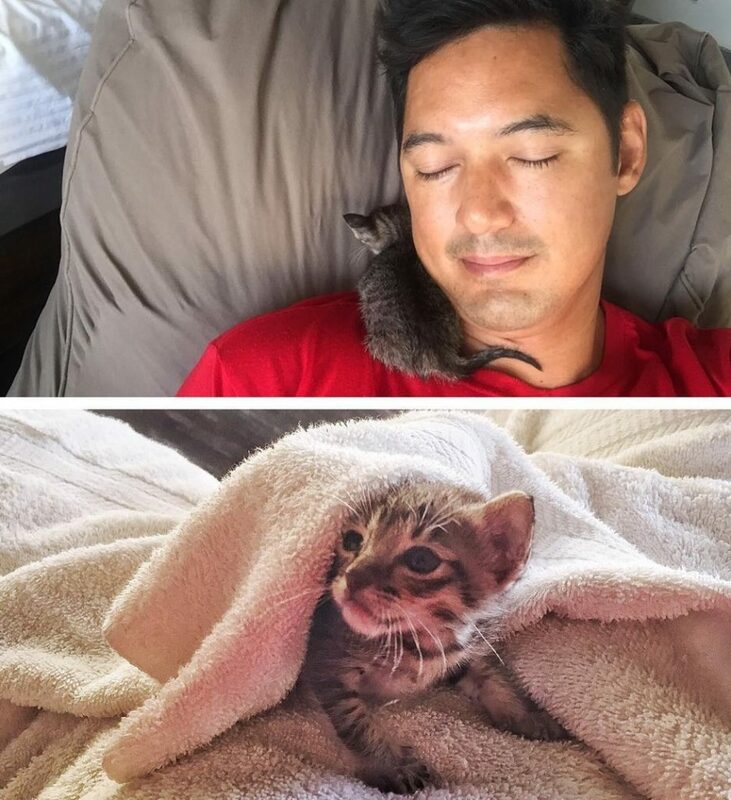 Meet Nala the kitten and her forever cat dad! 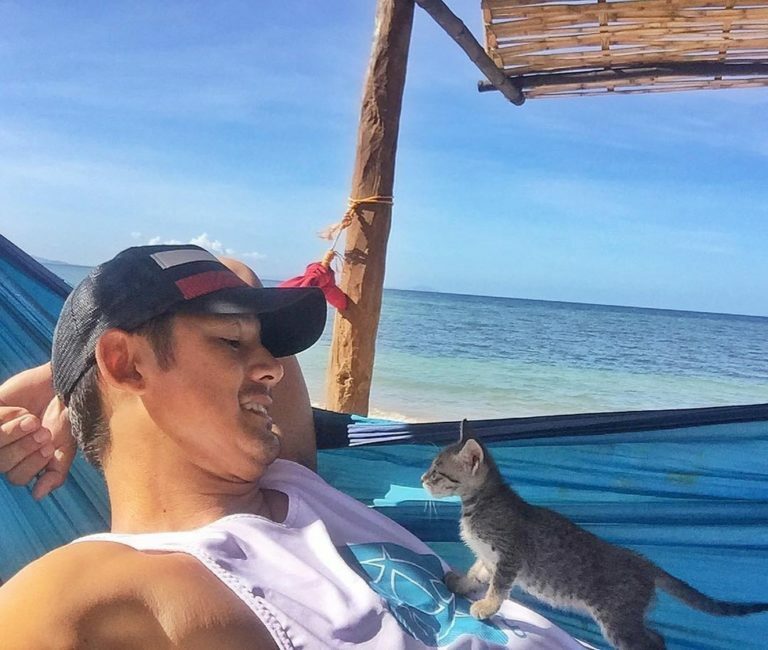 Marc Nelson found a defenseless tiny kitten in Aklan, Philippines. The little girl pulled the dogs away as soon as she could but by then only one kitten survived and ran away. “She was so tiny. A scrawny grey striped thing that could fit in my hand,” Marc said. After many hours of hoping the cat mother would return, there was no sign of her. 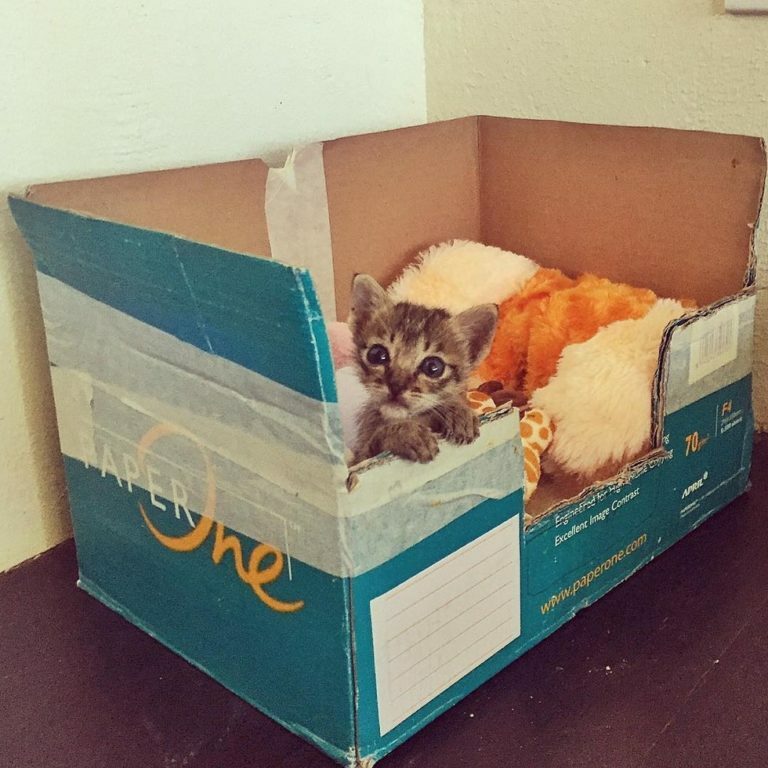 “I gathered her up in a towel and brought her to my other neighbor who had recently raised a kitten. She gave me an old box and some infant formula, telling me that she doubled the concentration mix for her kitten. 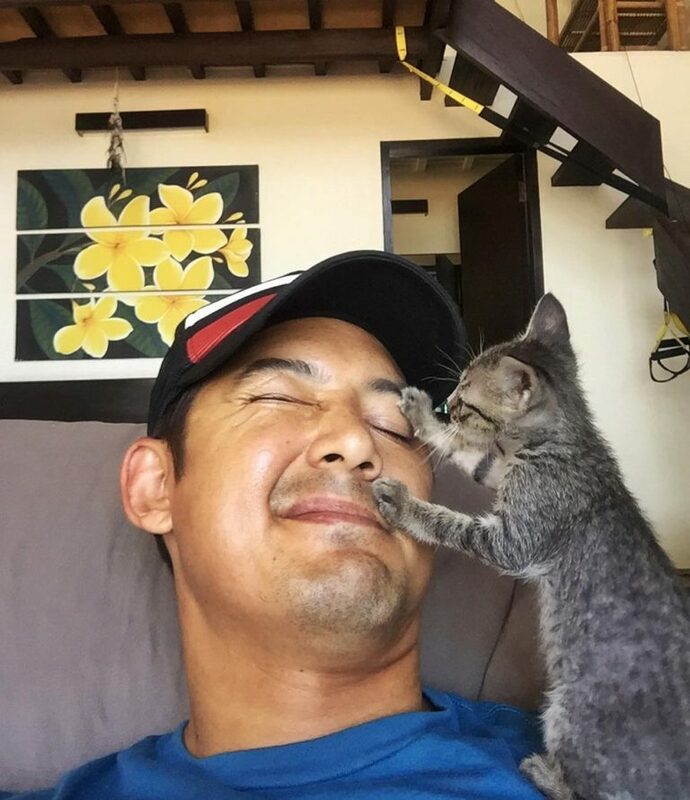 Then it was back to my place and my first night as a cat daddy,” said Marc. As a first-time caretaker for an infant kitten, Marc sought advice from people who have a lot of experience raising rescue kittens. “I never knew there was so much to learn! From feeding her the right formula (I got some kitten formula the next day), taking her to a vet, making her pee and poop, cleaning her, taking the fleas out, making her a comfy bed, then a play pen and all the while showering her with as much love as possible,” he said. “She’s now a healthy 8-week-old, been dewormed, had her first vaccinations, pretty much weaned onto dry food, and is in a very playful stage. “When I’m with her I play with her as often as possible, and she always makes me smile. It’s great to wake up to licks and light nibbles on my ears in the morning, and she loves to fall asleep on my chest or shoulders.